This year, bilingual school counselor Senovia Hurtado has been entrusted with the mission of revitalizing family engagement at Brightwood Education Campus (DCPS), a pre-K through eighth grade school in Washington, D.C. It’s her 15th year in DC Public Schools, but her first as a parent coordinator. With a reopened parent center, a supportive principal and colleagues, and a partnership with Teaching for Change, Hurtado is poised to make Brightwood a school that is open and inviting to parents. 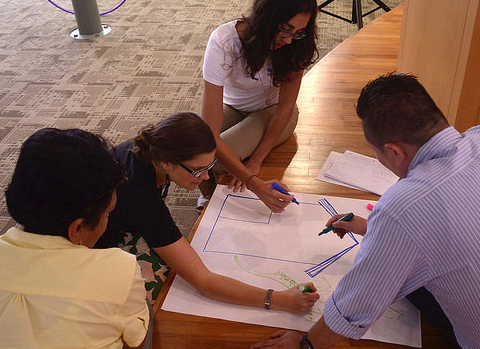 On Thursday, September 4, 2014, Hurtado participated in a Teaching for Change training designed to help schools create strong family engagement programs. Brightwood is one of eight schools selected to participate in the Tellin’ Stories Family Partners Series, based on Teaching for Change’s nationally recognized family engagement approach and funded through grants from the W.K. Kellogg Foundation and the Morris and Gwendolyn Cafritz Foundation. The unprecedented series brings teams of parent coordinators, parents, teachers, and staff from local schools together to develop meaningful family engagement strategies for their communities. The school teams also reflect on how race, class, and equity issues impact their school communities and family engagement efforts. 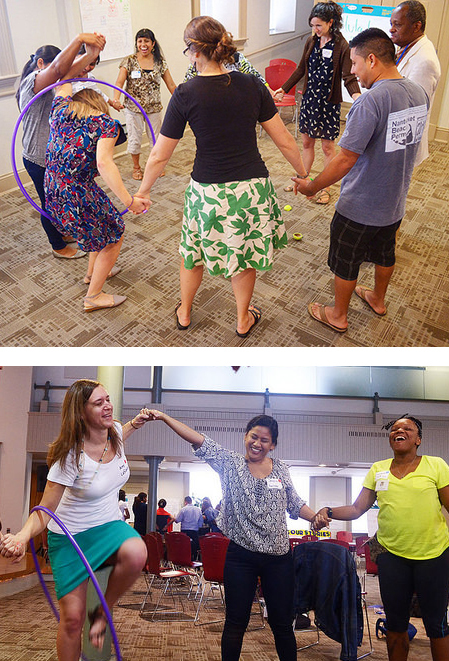 In addition to thinking critically about challenges at their own schools, the Family Partners Teams participated in relationship building activities to break down the barriers within their own group and build connections with other teams. Hurtado hoped to learn more about her new role as parent coordinator and about strategies for creating a welcoming climate for parents and caregivers—particularly for middle school parents. During the four-hour workshop, she and her Family Partners Team envisioned their idea of an ideal school; brainstormed barriers and solutions to parent attendance; and gave critical thought to revamping outreach methods. Teaching for Change uses the trainings to model effective strategies for meeting with and engaging parents. Valerie Stevens, also a Brightwood social worker and Family Partners Team member, agreed. The Family Partners Series is a yearlong professional development series for school community members to develop effective family engagement strategies. The training is based on the Tellin’ Stories approach, combining research-based strategies with Teaching for Change’s extensive experience supporting family engagement. 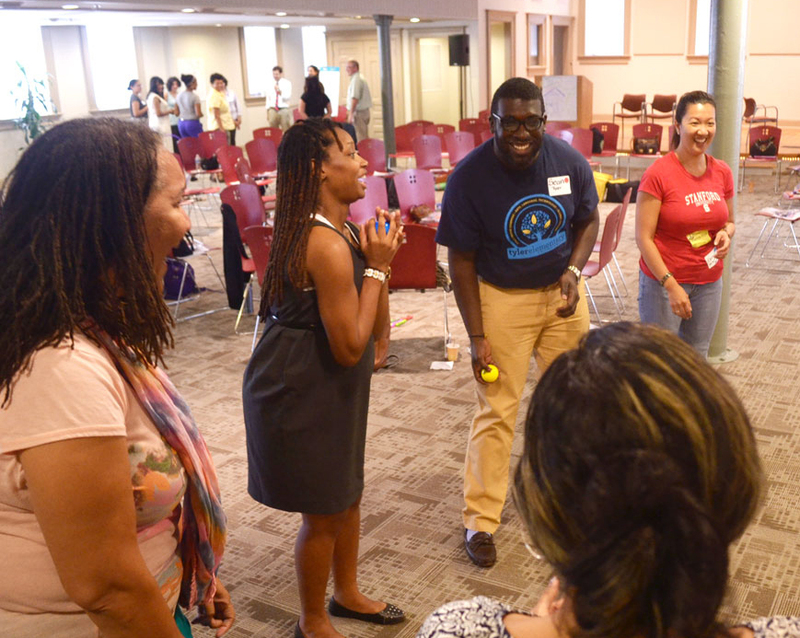 With support from the Kellogg Foundation and the Cafritz Foundation, parent engagement teams from eight schools D.C. area were selected to participate in the six-session series and receive coaching from Teaching for Change. The participating schools have diverse strengths and challenges. Some are just beginning to build relationships and welcome parents as partners; some are trying to improve and grow existing partnerships with families; and some are trying to revive the sense of community in their schools.